If you are looking for a used Toyota Rav4 in Orillia, Ontario, Midland and surrounding area, the Dalt's Honda sales team will be able to satisfy your needs. Dalt's Honda often has a great selection of pre-owned Toyota Rav4 in stock and add to the vehicle inventory daily. At Dalt's Honda we proudly sell and service used Toyota Rav4 to customers from Orillia, Ontario, Midland, Barrie, Gravenhurst, Bracebridge, Kawartha Lakes, Parry Sound, Huntsville, Collingwood, Lindsay and surrounding areas. Redesigned and updated for 2016 the Toyota RAV4 is one of the compact SUVs that created the class and includes many outstanding features that make it an even more useful family vehicle. Also new for 2016 is the SE trim. 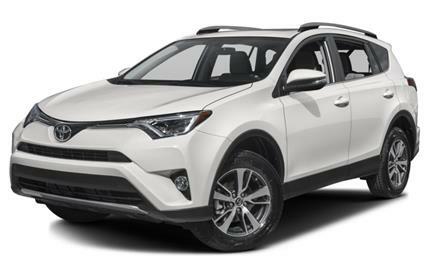 The RAV4 seats five and is a four-door, compact sport utility vehicle, now available in four trim levels: LE, XLE, SE, and Limited. All trims are available with a powerful 2.5-liter, 176-hp inline-4 and a six-speed automatic transmission. All models are available with front-wheel or full-time all-wheel drive. Standard on all trims is an anti-theft system, driver knee airbag, passenger seat cushion airbag, projector headlamps. Available features include new LED headlamps, a power liftgate, moonroof, alloy wheels, Entune audio system, SmartKey remote, automatic dual-zone air conditioning and Toyotas new TSS-P safety system. The Toyota RAV4 is redesigned and updated for 2016 and includes a new SE trim. Source: Chrome Data.